Professor John Mathews at Macquarie Graduate School of Management - Macquarie University in Australia. German Green Party Congress 2017 in Berlin. While a government is being formed in Berlin, which will have important implications for the future of the Energiewende, author and scholar Professor John Mathews of Macquarie University in Australia, looks back on what Germany has achieved so far with its unique energy policy and concludes that it has been a spectacular success, whatever its detractors may say. But he also has some advice to offer: the German government, he writes, should be promoting the building of a European supergrid, and actively invest in storage and electric car charging infrastructure. Courtesy Global Green Shift. The German government has been promoting renewables ever since the passage of the Renewable Energy Law in the year 2000. In 2010 the ‘grand coalition’ government led by Dr Merkel strengthened the promotion of renewables through raising the level of feed-in tariffs payable to producers. Then the Merkel government announced, in 2011, after the Japanese Fukushima nuclear disaster, that nuclear power would be definitively phased out within a decade, by 2022. These several actions constitute the core of the ‘energy transformation’. Germany is the most advanced industrial country to attempt such a thoroughgoing transformation of its energy sector, and its results carry global implications. 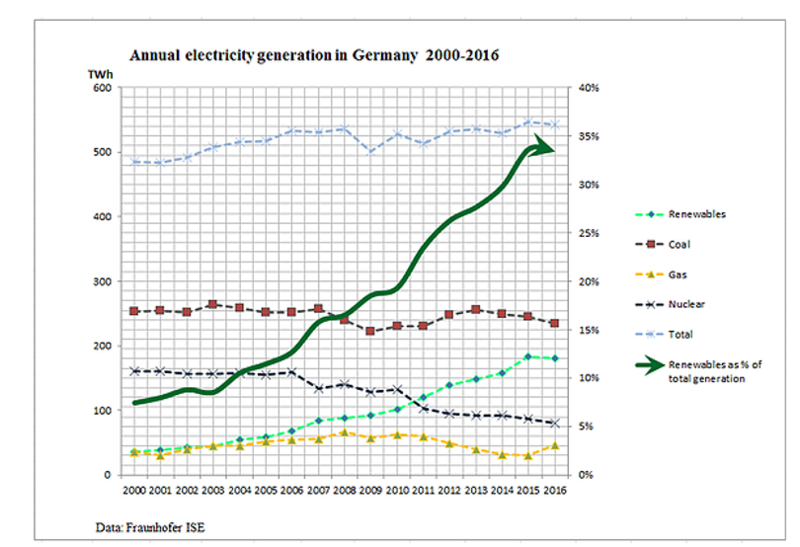 Chart 1 reveals that total annual generation of electricity in Germany has barely shifted over the past decade and a half; it was just under 500 terawatt-hours (500 TWh or 500 billion kWh) in the year 2000 and just over 500 TWh in 2016. But within that (more or less) constant total the changes in structure of the electric power system have been striking. Three major changes can be identified as part of the public policy in Germany driving the Energiewende – the promotion of renewables; the phase out of nuclear; and the shift to gas within the fossil fuels. How well this has worked is abundantly clear from the chart. Renewable power generation was around 35 TWh in the year 2000 (much of this due to hydro). It was already picking up in 2003, when it was at a level of 43 TWh (comparable at the time to the level of electricity generated from gas) and rising to 181 TWh in 2016. The headline result is that renewables as a proportion of electricity generated have risen from 5% in 2000 to 34% in 2015/16 – a green shift of nearly 30% in a decade and a half. (The 2016 total fell back a little from 34% to 33% but the 2017 total so far appears to be resurging.) In just the last 10 years the green shift has seen the proportion of renewable power increase from 16% in 2007 to 34% in 2016 – an 18% shift to green in just a decade. This is an epic result for a system as large as the German – and is far and away (in my view) the greatest achievement of the Energiewende. Second there is the phase-out of nuclear. Already by the year 2002 there was a government commitment to phase out nuclear – with a deadline set initially at the year 2022, i.e. within 20 years. The reduction in electric energy generated from nuclear sources began around 2006, when it started a decline that has been relentless right up until the present. Over the decade from 2006 to 2016, nuclear generation has declined from 159 TWh in 2006 to 80 TWh in 2016 – or a drop of 79 TWh, falling far short of the increase in power generated by renewables. The proportion of power generated from nuclear over the same period declined from 12.5% in 2006 down to 5.5% in 2016 – or a 7% decline in a decade. So the expansion in renewables over the past 10 years has more than compensated for the decline in nuclear power. Renewables have grown from 68 TWh in 2006 to 181 TWh in 2016 – or growth of 113 TWh, compared with the decrement of 79 TWh for nuclear. The widespread fear that German renewables would not be able to substitute for nuclear has proven to be unfounded. Third there has been a moderate reduction in the burning of coal – which was on the way down in the early years of the Energiewende, but then staged a recovery, with coal enjoying a local peak in consumption by power generators in 2013 and it is only now resuming its downward trend. At the same time gas saw a decline as coal consumption bulged, but gas is now increasing again, particularly since 2015, which is only to be expected. It is the continued dependence on coal which has been the least successful aspect of the Energiewende, and the one which is most in need of sustained policy attention in Germany. If present trends are allowed to continue, the shift in proportion of renewables (18% over the past 10 years), will result in a further such shift over the next 10 years, i.e. to reach a 36% shift over 20 years. Germany would be well on the way towards eliminating coal as a source of power. Chart 1 reveals that renewables should generate more power than coal by the year 2020, crossing over at about 200 TWh per year. When we turn to capacity shifts, as shown in Chart 2, the situation is even more dramatic. Taking our span as the decade from 2008 to 2017, we see that power capacity drawing on renewable sources has increased from just under 40 GW in 2008 to just over 100 GW in 2017 – or more than 60 GW in the decade. Over the same period the capacity that is nuclear powered has declined from 20 GW in 2008 to just 11 GW in 2017 – meaning that there is little nuclear capacity left in the German system to eliminate. The green shift in capacity is quite remarkable – with renewables rising as a proportion of electric capacity from 30% in 2008 to 52% in 2016 (and even higher if we count the interim 2017 results). That’s a 22% green shift in capacity in just a decade – compared with an 18% shift in terms of electric power generated. Why the German NGOs are not shouting these results from the rooftops is a mystery – they are truly extraordinary results, demonstrating a determination and ambition that is unique in the developed world. The real achievement of the Energiewende is that it has transformed the German energy system in just a decade and a half, ensuring that it is a rising industry, taking over from coal and residual fossil fuels as well as nuclear. The shift is reflected in terms of employment; in terms of investment; in terms of reduced burden on balance of payments for fossil fuel imports; and in terms of engagement with the energy industries of the future (rather than sticking with the energy systems of the past, as the US is doing under Donald Trump). In this sense Germany is emerging as the world’s only serious competitor for China, which is leading the way into the new 21st century energy industry. In 2016 E.ON took the initiative and split itself into two, with E.ON retaining the renewables and grid parts of the business and a new vehicle, Uniper, taking over the fossil fuels and nuclear operations. Then in 2017 it was the turn of RWE, where a new vehicle, Innogy SE, was created for the renewables activities. Already, by March 2017, the market capitalization of Innogy stood at 18.9 billion Euros (US$20 billion), which was more than double the value of its parent RWE. Some of the criticisms are simply laments at the fading fortunes of the primary power generators, RWE and E.ON. This was the case with the Forbes article ‘Germany’s green energy policy disaster’ (January 2017) which simply listed the ways in which the shares and net worth of shareholders in RWE and E.ON were being disadvantaged by the Energiewende – without ever asking whether the companies had been too slow to see the coming changes, and been less than enthusiastic in embracing renewables. Yes, it has been expensive because Germany has been paying generous FiTs for renewable energy supplied to the grid. There was no alternative in the year 2000 when these payments started in earnest. But since then costs of solar PV and wind power have plummeted and so the German government has been able to reduce the FiTs paid accordingly – and in 2016 actually went all the way and introduced public auctions as a way of setting the future FiTs to be paid. The real result of the Energiewende so far (and it is a work in progress) has been its transformation of the German energy sector, and the unleashing of fresh entrepreneurial forces that usher in the new and drive out the old. This is the very essence of Schumpeterian competition, where the new destroys the old, sweeping it away in a gale of ‘creative destruction’. Just focusing on whether there have been sufficient reductions in carbon emissions (unlikely unless the energy transformation were allowed to encompass transport and industry as well as power generation) clearly falls short as a lens through which to view the Energiewende. Its very breadth and ambition is what marks it out as the only real competitor worldwide for what China is accomplishing in the renewable energy space. But the costs are still high, and need to be brought down if the energy transformation is to retain its political support in Germany. The Minister of Energy and Industry, Sigmar Gabriel, who is the current driver of the Energiewende, has stated openly that Germans have reached ‘the limit of what we can ask of our economy’ – meaning that costs have to be reined in. And the most obvious way to rein in costs is to change the pricing structures of the electric power grid, allowing new players to enter and offer services that supply renewable power at low marginal cost – without maintaining large fossil-fuelled plants that remain unused for most of the time. These are political challenges that need to be met in the political arena. I would add to these priorities three more issues calling for attention. The first is the necessity for Germany to lead in building a trans-European Supergrid that is equipped with smart meters and other IT devices to enable it to accommodate fluctuating renewable energy supplies. Germany was one of the proponents of the future-oriented Desertec project, linking producers of solar power in the deserts of North Africa with an upgraded European grid – but that project has failed for lack of support from German industry. Here is where government funds could sensibly be spent to revive the idea. And a European Supergrid would provide the infrastructure needed for market exchange of renewable power – buying and selling – which would curb the recent price increases being inflicted on individual countries by fossil fuel dinosaurs. Third, Germany could play a much more decisive role in promoting the coming shift to electric transport, by emulating (and improving on) the Chinese efforts to create a vibrant 21st century electric vehicle ecosystem. The first step is to ban the sale of new gasoline and diesel-powered vehicles – which France and the UK have already done with respect to a deadline year of 2040. But China has taken a decisive step here, announcing its clear intention to move to outlaw sales of new internal- and external-combustion engine vehicles by a date yet to be announced – shaking the global automotive industry. Acknowledgment: The efforts of Ms Carol Huang in preparing the charts and assisting with the research for the article are gratefully acknowledged. 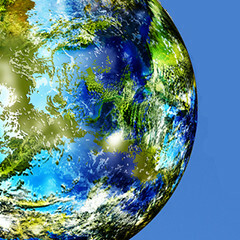 This article was first published on John Mathews’ new blog Global Green Shift and is republished here with permission. Financial Times editorial, ‘The absurdity of German energy policy’, November 26, 2014, at: https://www.ft.com/content/01e65008-74a6-11e4-b30b-00144feabdc0; ‘It’s not easy being green’, The Economist, August 11, 2016, at: https://www.economist.com/news/europe/21704819-even-new-reforms-doubts-remain-about-germanys-energy-transition-its-not-easy-being-green; William Pentland, What is so revolutionary about Germany’s Energiewende? Forbes, December 7, 2015, at: https://www.forbes.com/sites/williampentland/2015/12/07/what-is-so-revolutionary-about-germanys-energiewende/#40b018945160; and Jeffrey Ball, Germany’s high-priced energy revolution, Fortune, March 14, 2017, at: http://fortune.com/2017/03/14/germany-renewable-clean-energy-solar/. Of course, John. That’s the ultimate test – not capacity, not getting rid of nuclear, not being cheap, not improving efficiency, not appearing “green” to those who don’t know any better, etc. etc. etc. No – lowering carbon emissions is all that matters, and by that criterion the Energiewende not been a “spectacular success” – it’s been a miserable failure. A flop. According to IPCC, the world needs to be free from fossil fuel in 83 short years, Germany is going backwards, and those in denial are not helping matters. Accordingly, Germany would end up with a catastrophic result 30 years after the start of the Energiewende. With nuclear power no longer available, a capacity of at least 50 gigawatts is required by other means, despite an enormously expanded network of wind turbines and solar systems under comparable weather conditions. Those other means according to current knowledge will be provided by coal, oil and gas. In other words, one cannot simultaneously rely on massive amounts of wind and sunshine, dispense with nuclear power plants (for very good reasons), significantly lower the supply of fossil energy, and nevertheless tell people that electricity will definitely be available in the future. Exactly that, however, is what politics largely does almost every day. Energiewende is certainly succeeding from the point of view of coal companies: to continue the use of Germany dirty brown coal (in spite of repeated pleas by environmental scientists to eliminate its use), while distracting/appeasing the environmental community. 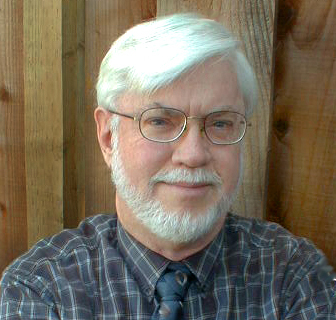 The core problems with Energiewende are that it is not aligned to scientifically justifiable goals (anti-nuclearism has a demonstrated record of environmental harm), and that it contains a political compromise (phase-out nuclear before coal) to appease the very industry (coal) which it ought to be designed to destroy. Bob, your comment betrays a common perspective, namely that renewables are all about stemming climate change. But actually, as China has discovered and no doubt Germany is discovering, renewables are about enhancing energy security — because of the point that all renewables are the products of manufacturing. As such, they can be produced anywhere — and are not tied to oil fields, coal mines, gas fields, pipelines and all the other paraphernalia of fossil fuels. They break the geopolitical limits that constrain fossil fuels. 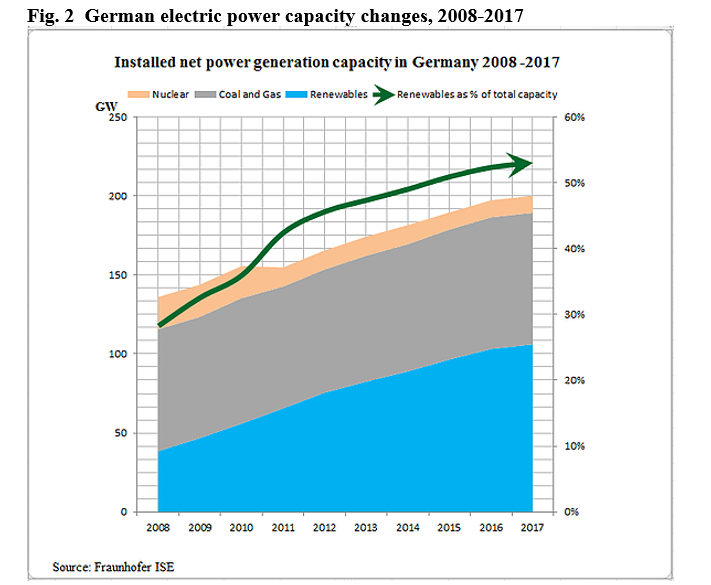 From this broader perspective, the German Energiewende has been a great success — as outlined in my article — because of the remarkable shift towards green energy sources (renewables) over the course of the past decade. Of course as you say (and as I mentioned) the German energy transformation has not been extended to a transformation of the energy used direct by industry (e.g. in steel or cement production) nor in transport. These are the great weaknesses of the Energiewende, which clearly need to be addressed — as I state in the article. But insofar as the energy transformation is focused on the narrower field of electric power generation, it cannot be held to account for failure to dramatically decrease carbon emissions; these now emanate more from industry and transport than from power generation. The point of my article is that it is time to judge the Energiewende as an energy transformation in strictu sensu and acknowledge that as such it has been an outstanding success. Sure it is interesting to see how much can be written under the “Green Banner”. We see that a European Super grid should be a tool to smoothen out the fluctuations in renewables. Unfortunately it is “forgotten” that it will be difficult to distribute what is not there. Nobody will distribute solar at night-time and the European Wind Power is almost synchronized. Storage of energy is promoted as a helping hand. However: There are very few new possibilities for new Hydro and Pumped Storage – at affordable prices. Batteries will, even for the most optimistic evaluation, be off limit for the enormous amounts of energy needed to keep the wheels running at Dunkelflaute, which means “Dark Windless”. Electric cars will no doubt reduce the emissions of greenhouse-gases. Depending upon how the electricity is generated. But it will be nothing but a drip in the ocean, if it should stabilize the fluctuating net. Cars will be recharged at evenings, when the cooker is on and the sun is down. Instead, let us compare the results from the real world. In my opinion it is necessary to have another look at the Energiewende. John, because renewables make energy consumers 100% dependent on the weather and the time of day, they “enhance energy security” for no one. They are the products of manufacturing, but no, they can’t be “produced anywhere” – they must be produced where baseload electricity exists to operate the heavy machinery necessary to make them. Thus, in lieu of available hydroelectric or nuclear energy, they are entirely dependent on fossil fuels to even exist. Have you ever visited a truly impoverished area of the world? In Liberia and Tanzania I’ve seen children dying of malaria or hunger, and solar installations pillaged for parts after Greenpeace first installed them 30 years ago. Why? Because they were infinitely less useful than open cookstoves burning wood or dung. Renewable energy is a plaything of wealthiest and most-entitled people in the world, and the idea it is “transformative” is a gross, selfish conceit which only makes life harder for those who need clean energy most. Finnish Power company Fortum is buying Uniper. Looks like they believe in the future of coal in Germany. In Finland, Fortum has closed its coal plants because they definitely have no future here. Worth noting that Germany is keeping the lights on in France and Sweden, not just the electric vehicles in Germany. In France and Sweden half the reactor fleet is broken down, the lights there kept on via Germany. Let’s start with the grid, sweden is pretty well integrated with finland and norway in terms of transmission – so I’d say it’s the neighbours that keeps the lights on at 2330 swedish time sweden is net exporting 213MWe, when you wrote we imported 1300MWe but hydro wasn’t even running at half capacity then). How do you get it to half the swedosh reactor fleet being broken down? Sweden has eight reactors in operation (at three plants). So which four do you mean is broken down? A few details about that. Forsmark-3: Offline due to faulty backup diesel generator and they want to make sure it isn’t a common cause failure in the diesel generators due to one dying a little while ago. The nuclear part is just fine and can run safely, they just err on the side of caution. 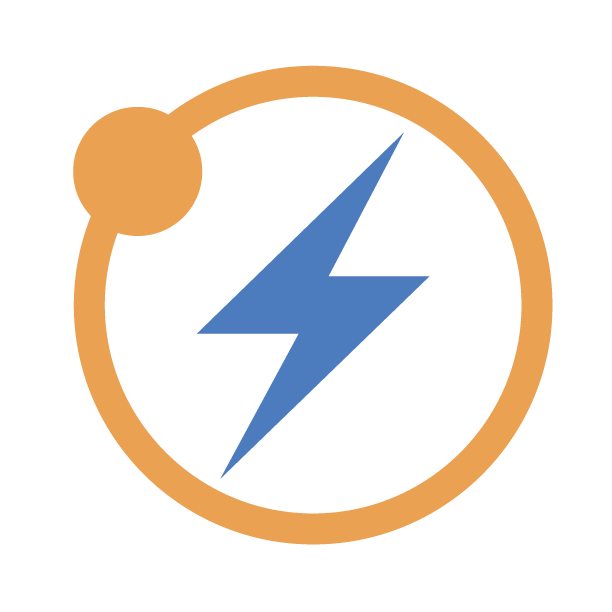 To sum up: Half at full power, one at half power (offline when you wrote), one in a planned outage, one in slightly overrun planned outage, one in outage due to wsnting to find out reason for fault in non-nuclear parts. In the US, most our coal usage is hard coal (anthracite). However, in Germany, brown coal (lignite) is dominant over the more expensive anthracite. So when someone boasts that Germany has reduced their hard coal consumption a lot, it’s only because Germany is doing the economical thing of preferring the cheaper grade of coal. One of the “Atom Clowns” asks you to answer specific data about Swedish nuclear. If not this “Atom Clown” and quite a lot others may soon regard you and your many links as being untrustworthy. Good observation, Nathan. Deserves a place alongside “citing capacity as generation” in the Renewable Fallacy Playbook. Energy security. Total hogwash. The world is swimming in fossil fuels. The Saudis and Russians have to collaborate to keep down production so prices do not further decrease. Photos of various islands in the Caribbean show solar panels totally destroyed and wind turbines with all blades missing. When Puerto Rico was without power did they rush in wind turbines and solar panels? No, they rushed in good old fashioned diesel generators. In 2015 and 2016, nuclear generation increased after a 10 year decrease. Based on plants in the pipeline in Russia, India, Turkey, and China, nuclear generation will increase in future years. Btw, the first graph is in error. German total generation was about 650 TWh in 2016. Renewable generation was less than 30% of total generation. Just goggle. Germany does not want its gas pipelines to go through Poland or Ukraine, the reason Germany is in favor of Nord Stream 2 via the Baltic Sea. Germany and Denmark household electric rates are by far the highest in Europe, France, with 80% nuclear generation, has one of the lowest. Germany will not meet its 2030 and 2040 CO2 targets. German lecturing of others is empty posturing. The Fraunhofer ISE figures employed here as for analysis appear to overstate the growth of renewable energies. The 181 TWh quoted for 2016 is about 35% of total generation. However, the figure of 191.4 TWh used by the AG Energiebilanzen in Germany is only 29.4% of the respective higher generation level of 648.2 TWh. According to that compilation, 576.6 TWh was generated in 2000. Electricity output therefore increased by 71.6 TWh, or 12.4%, during the intervening period. These greater figures include internal usage, such as incurred by power plant filters. Similar distinctions would be significant if renewable energies were used in the future for CO2 capture and storage at coal power plants or for process energy storage in industry. Another discrepancy in this treatment is that Sigmar Gabriel already became Germany’s foreign minister last January, with Brigitte Zypries named his successor as Minister for Economic Affairs and Energy. Both politicians will be leaving the federal cabinet in result of the September 24th elections. It will now be up for the new coalition government to promote the Energiewende as the essential means of fulfilling the Paris Agreement. While the elimination of coal may appear to be “long overdue” for this purpose, there is little support for that policy in the eastern German mining regions, where 10% of the country’s electricity is generated with 80 million metric tons of lignite per year. The right-wing AfD has received up to one third of the popular vote in many localities, while the Green Party achieved less than 5%. Can there be any better indication that the Energiewende has fallen from favor in the East? Renewable energies are held directly responsible for high unemployment and the loss of business taxes formerly paid by the lignite industry to mining communities. The AfD has overtaken the Social Democrats (SPD) as Germany’s strongest pro-coal party. Since it disputes the need for the Paris Agreement, it may unconditionally represent the economic interests of Germany’s three mining regions in the forthcoming German parliament. Anticipated government proposals on CO2 taxation can be countered by unemployment statistics from the power industry. Germany has lost 2,230 lignite miners over the last three years but 70,000 jobs in renewable energies. Raising the price of carbon will not restore them. Increased efforts toward eliminating lignite could attract even more voters to the AfD. The Energiewende therefore ultimately challenges German political culture to reinstate social-economic responsibility using more imaginative techniques than simply replacing local mining equipment by Chinese solar panels. Clean Energy Wire claims that renewables generated 29 % of German gross power generation in 2016. Since nuclear generated more than offshore and onshore wind combined, the closure of all nuke plants by the end of 2022 will mean that coal (40.3 % of generation) will keep on spewing CO2 in Germany. The proof? Math. Replacing nuclear generation with wind alone would bean doubling of wind generation in 5 years. With solar alone, you would have to triple the existing capacity. Does the German government want to do it? No. Germany moved from FITs to renewable power auctions. Why? Because FITs cannot control the rate of increase of renewables, auctions can. As Craig Morris noted at the Energiewende blog, you cannot say that you want to slow down Energiewende. But you can switch to auctions. Quite impressive when you compare it to the German average of around 500 g /kWh. Energiewende and fossil fuels go hand in hand. Should France follow the example of Germany, their numbers will only get worse. n 2016, gross electricity generation was 648.4 TWh, of which 460.1 TWh was from conventional generators and 188.3 TWh was from renewables, i.e., about 188.3/648.4 = 29% of gross electricity generation was from renewable sources, such as wind, solar, hydro, bio, etc. Of the 188.3 TWh, about 77.4 TWh was from wind, about 38.2 TWh from solar, for a total of 115.6 TWh. About 21 TWh was from hydro and 51.7 from bio, etc. On an annual basis, wind and solar (stochastic sources) was 115.6/648.4 = 17.8% of electricity generation. In 2016, domestic electricity consumption was gross generation (648.4), less self-use (30), less net exports (53.7), less transmission and distribution (30), less pumped storage and misc. (19.4), or about 515.3 TWh at user meters. – Germany generated 648.4 – 77.4, wind, – 38.2, solar – 21, hydro = 511.8 TWh of electricity from CO2-emitting sources (fossil, bio, etc.) at about 560 g of CO2/kWh in 2016. – France generated 530 TWh of electricity at about 58 g of CO2/kWh in 2016. – Germany’s electricity generation has about 560/58 = 9.66 times CO2 intensity of France, which generates about 80% from nuclear. Germany has been replacing nuclear (near-zero CO2) with mostly coal and natural gas, and some solar and wind; regarding CO2, bio energy does not count, as it emits CO2. See URLs with many more numbers. It is grossly absurd to claim, as the author does, the Energiewende has been a success. Germany’s CO2 emissions (from all sources) are about the same as in 2009. There is no way Germany, a big industrial nation, will meet its 2020, 2030, 2040 and 2050 targets. German households paid a MINIMUM of about 8 x 25 billion euro = 200 billion euro in subsidies during these 8 years to gain ZERO CO2 emission reduction. German boasting about COP-21 and criticizing the US is just empty rhetoric. Germany’s consumption of electricity from renewables has increased from 30.8%, 32.7%, and 35.1% in the first half of 2015, 2016, and 2017, respectively. But regarding the consumption of thermal energy for buildings, industry and commerce, and fuels for transportation, there has been so little change that the overall energy consumption from renewables has increased from 14.7%, 14.8% and 15.2% in the first half of 2015, 2016, and 2017, respectively, which means Germany will not meet its 18% goal in 2020. The electricity sector contributes only about 45% of Germany’s total emissions. The 100% decarbonizing of the electricity sector, which is already about 45% decarbonized (if we add nuclear) would reduce total emissions by about another 25%. Yet Germany’s efforts to decrease emissions continue to concentrate on the electricity sector. Coninue – no. it is known that changes have to happen especially in the building sector, and also in the traffic sector. Energiewende is primary about electricity, and as you find yourself this part works. Headline for the next phase will be “Sektorkopplung” To decarbonise the next two sectors, while decarbonisation of the electric sector goes on. The 648TWh are mislaeding, because only fossil and nuclear power generation measure their gross power generation, of which a significant part is needed to power the plant iteslf, while renewable power generation counts the net power production. The power consumption of nuclear, coal etc. power stations goes away when they leave the grid so it never will have to me replaced by other power generation. The number of lignite miners is not political relevant, especially since non of the coal freindly partys will participate in the new gouvernment, and most of the coal capaity is owned by companies from outside germany if Fortum buys uniper. Since average age of the miners is already high, a slow phase out over several years will mostly happen by retiering people and by not replacing people who leave the companies due to other reasons. Lignite mining will vanish silently. Germany has periods with little wind or solar production like this past December. During these times the conventional electric fleet must carry most of the load. The conventional fleet can be throttled down at times, but closing it is not an option under Energewiende. Indeed, Germany has increased the size of its hard coal fleet in the last half dozen years. It’s a mistake to suggest that some greater amount of wind generation by itself could replace (i.e. close) nuclear in Germany. The data shows the conventional power fleet must at time carry most of the load. If the conventional fleet does not include nuclear, then it will include more fossil power. Ahh, that explains the discrepancy. “Broken down” implies it is offline due to a fault, while “down” just implies offline. Ringhals-2 is in its regular “revision” (swedish nuclear-speak for maintenance and refuelling), and is no more broken down than a car is during refuelling (the overrun in O3 is the equal on noticing you also need to replace the oil when at the gas station). And “reactors owned by Eon” didn’t break down. This one has a couple of errors in it. * O2 (ASEAs second LWR) was shut down by unilateral decision by EOn (Fortum, the other owner of OKG (45%)) wanted to take it online (it just had undergone a major overhaul) rather than installing independant core cooling. * A bit beside the point but the O1 and O2 decommissioning decisions was made before it was agreed to reduce the nuclear tax. Coal plants are indeed closed, and also new are built in Germany. The data above shows net coal little changed. At the same site, see how German coventional generation carried the load for multiple days this past December. The loss of nuclear capacity via Energiewende has made fossil plants indispensable. Consider that German emissions per kWh are far above EU average despite hundreds of billions invested into “decarbonisation” of electricity during the past 10 years. And that this electricity “decarbonisation” master plan includes the elimination of single largest source of carbon-free electricity in Germany by 2022. You call this a success? Germany has no problem that its continental gas supply pipeline passes Poland, but has a big problem that it also passes through Belarus. The dictator of Belarus repeatedly threatened to close the pipeline in winter if he didn’t get more money and/or cheaper Russian gas. It necessitates alternative supply routes or supplies from oversea. Germany is the only country that met the 20% emissions reduction target of Kyoto. It’s already at a 25% reduction! Average German household spends lower share of its income on electricity than av. US household. Comparing the states inside US shows that lower consumption and higher prices correlelate. The high German energy taxes show its commitment to the climate; less consumption = less emissions. Due to high taxes, car fuel & gas prices are also very high compared to USA. It seems that the nuclear renaissance is already over. In 2015-2016 nuclear share in the world’s electricity decreased from 10.7% towards 10.5%. Only 55 nuclear reactors under construction (was 60). The real decline of nuclear is showed by the number of construction starts in the world in 2016: only one! Do specify exactly what you consider rubbish and why – I mean, linking to the sources of your sources seems to be rejected out of hand. The Times Of India article you linked lists both F2 and O3 as in planned maintenance (while O3 really is in overrun maintenance), so even that one states at most two reactors broken down (since planned outage is entered as normal operation [and can normally be postponed for 6-12 months if needed (sweden runs its nukes on 12-18months cycles in order to have as much maintenance as possible during the summer-autumn [peak demand in sweden is in winter])]). Nordpool (as you linked) also lists F2 as planned maintenance. And the R3-issues is explained at its operator’s homepage. To explain that ‘planned maintenance’, in the world of nuclear a planned maintenance is any planned event to ensure further production that isn’t a major upgrade. This means stuff like refuelling, changing consumables, checking structurea and minor upgrades. In general such an event takes about three weeks (longer if more upgrades). And happens every 12, 18 or 24th month depending on fuel cycle (when having to refuel you might as well do service). If you read the first two paragraphs of the WNN article you linked to you’ll notice that it states that Eon decided back in 2015 to shut down O1 abd O2 permanently in the 2017-2019 timespan. And the concrete cutter in the O2 was part of Projekt Plex ( http://www.okg.se/sv/Om-OKG/Utveckling/Modernisering-O21/Modernisering-O2/ ) which was a major upgrade, uprate and maintenance program since the reactor was 30 years when it was decided upon. Oh, and the Plex was done when EOn decided not to restart (despite Fortum wanting to restart). I can somewhat understand how one mistakes O1 for breaking down, but how does one mistake O2 for it? Regarding the Indian nuclear sector… That would take a book or two to answer, but long story short – up until a few years ago India didn’t have enough uranium to keep its plants running (now they have access to international markets), their demonstration reactors are behind schedule (prototypes regardless of field tends to be), their russian-ordered reactors comes in mainly as intended, their domestic reactor buildout tends to be underfunded by politicians, and their western-world-ordered reactors balk at indias nuclear liability law (it is quirky when it comes to part suppliers). Oh, and please explain to me what the heck the fallout from a vertical channel graphite moderated light water cooled reactor without proper containment blowing up and then catching fire during a safety test has to do with the normal operation of a light water reactor with pressure vessel and full containment? As Helmut writes, when you correct for the roughly 5%-20% (depending on CF) that traditional power plants consume from their electricity production, the differences between the AGEB and Fraunhofer ISE figures vanish largely. As the internal electricity consumption of traditional power plants become less relevant because those power plants will gradually produce less (though won’t vanish due to a.o. biomass), it seems that Fraunhofer figures represent the (future) situation better. The AfD could win so much, mainly because of the open immigration policy of Merkel. Germany took ~1 million refugees. Not because of the Energiewende which is still supported by ~ 90% of the population. So nothing will change regarding all nuclear out in Dec. 2022. A tax on emissions is not a German affair. Germany adheres the EU Emission Trading System and won’t create another system. Btw. The costs of emissions will increase in the EU and associated countries, due to a new revision of the system. When nuclear closes in the next 5 years, its enough that renewable replace it’s net power generation, so 80TWh/a (=net production in 2016). In the 2011 – 2015 period renewable increased already 82TWh/a, while the Energiewende can afford to accelerate thanks to the major price decreases of wind, solar and storage (PtG, batteries). Prime target was all nuclear out asap. They agreed a scheme with the utilities in 2003 which would result in all nuclear out in 2022. With present scenario they will reach that target. Second target was 80% renewable regarding electricity in 2050 with 35% renewable of consumed electricity in 2020. This year renewable share until October 14, was 38%. So they will surpass the 2020 intermediate target three years ahead. we can expect that the Energiewende will reach >80% renewable in 2040 and >99% renewable in 2050 regarding electricity. So they are on the road towards an absolute unique success! – 18% compared to 2000, the start of the Energiewende. – 31% compared to the Kyoto 1990 reference level. Note that USA reduced nothing compared to the 1990 level while emitting 60% more gCO2 per person. If instead of turning down 79 TWh of nuclear, Germany had turned off 79 TWh of coal/lignite power plants, its CO2 emissions in 2016 would have been 827 million metric tons (Mmt) instead of 906 Mmt—lot closer to the 2020 target of 751 Mmt. Some of my conclusions differ from your viewpoints due to additional circumstances that appear worthy of discussion. The greater transmission distances that widely distributed and more numerous renewable energy sources must overcome before reaching the final customer may increase power line losses accordingly. For instance, a tenth of the energy generated by North Sea wind turbines could easily be dissipated by the time the electricity had reached Munich. A statistical differentiation between generation and consumption would therefore be necessary. The September 24th federal election results now indicate a similar concentration of right-wing voting throughout the eastern German mining regions. If the AfD turnout had only been related to the refugee problem, then that result would not have been so geographically pronounced. While the German government does not enact carbon taxes, it had proposed imposing operating penalties based on CO2 emissions in 2015 to force power plants built more than 20 years ago into early retirement. That plan was rejected by the lignite industry, leading to the current negotiated arrangement of standby power plants. “Conventional” is the term used by EEX and Fraunhoffer ISE to refer to all non-intermittent, domestic power (including biomass, hydro). Take it up with them. What source indicates Fraunhofer is not recent? Many members here reference it, as did you above. The EEX installed capacity page you reference does not include all German power capacity, but some subset. For instance, most of onshore wind capacity is missing for, so is all solar, and most biomass. With respect to installed coal, the difference between Fraunhoffer and EEX 2016 is 3 GW out of 28 GW. Fraunhoffer shows 28 GW coal installed in 2002. The claim you’ve made is that ” coal power plants in Germany and surrounding countries are running in the red and closing down.” The history of the last dozen years for coal in Germany is not one of closing down. If you’re going to refer to 5 – 20% of their output that “traditional power plants” consume, you should probably not be labeling it as “internal electricity consumption”. Energy consumption internal to the power plant — lights, blowers, water pumps, electronics, control motors, etc. — isn’t nearly that large. 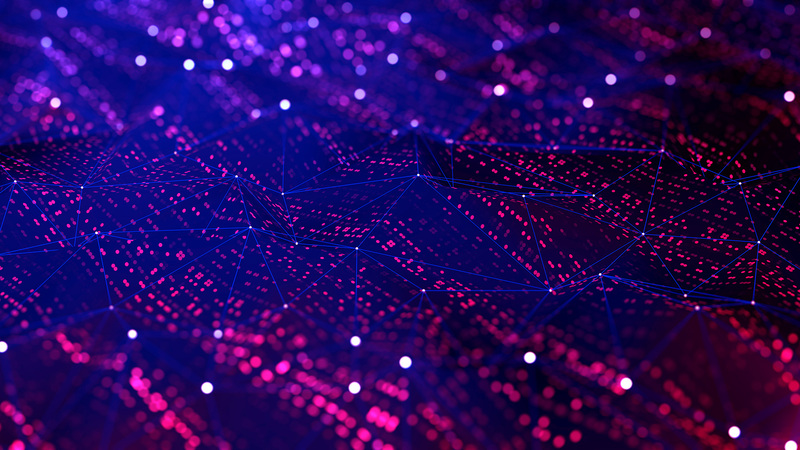 To justify numbers that large, you’d have to be talking about the overall fuel cycle — primarily the energy consumed in mining or drilling operations plus transport. In the case of nuclear power, since the energy delivered per kilogram of fuel is so large, the energy cost of mining and transportation is almost negligible. To show high energy costs for the nuclear fuel cycle, you’d be including the costs of fuel processing: milling and separation of uranium from low-grade ores, U235 enrichment of natural uranium, and manufacturing of fuel rods for conventional light water reactors. You’d also have to be applying the wildly inflated estimates for those that have been foisted on the world by the “Stormsmith” studies. Within limits, it’s legitimate to treat fuel cycle costs as parasitic drains on a power plant’s output. But there are some strong caveats. When you do that, you’re wading into the EROEI swamp (Energy Returned On Energy Invested). I call it a swamp, because it depends so heavily on guesses and averages, and on the infamous “boundary problem”. Where does one draw the boundaries around a process being analyzed and the energy inputs to be included? For power generation from coal, one would certainly want to include the diesel fuel and electricity consumed by the heavy mining equipment used to extract the coal and the fuel consumed by the trains that transport it to the power plant. But what about the energy used in building that heavy equipment or producing the steel in the train rails? And what about the energy used by workers when they’re not at work? The thing that you, personally, should be aware of before you venture into EROEI territory, is that it’s generally non-supportive of what you care about. You’re a committed advocate for renewable energy resources and opponent of nuclear power. But the energy resources that rank consistently highest in EROEI studies are conventional fossil fuels. They come in somewhere between 30:1 and 100:1. EROEI studies for nuclear power vary widely in their findings, but tend to cluster around 10:1 for conventional light water reactors. Studies for wind turbines also vary widely. They have a strong dependence on site profile. But comprehensive studies generally rank them well below nuclear. They’re burdened by ten times the mass of steel and concrete per megawatt-hour of annual output. Use of photovoltaic technology is shown to result in creation of an energy sink. And Fortum, being a foreign company, can sue German govt in USA if it’s forced to close coal plants. US court will probably deliver much higher compensation for forced closures than a German owner can reach at German courts. So they can earn a lot of ‘easy’ money with the deal. Consider that Swedish Vattenfall sues German govt in USA in order to get more compensation for the forced closures of its nuclear plants in 2011. In NL we see that such extreme right wing parties get a lot of support in impoverishing regions. People feel they are put behind. Remarkably, those people are on av. far more strong against immigration of refugees, despite getting & having a very low share of those immigrants (as % of existing population). Similar occurs in poorer East German regions. So the AfD got strong support all over those regions Accidentally part of those regions harbor a lot of the lignite mining. So IMHO the decrease of lignite mining is a contributing factor but not the main reason for the strong AfD support in East German countryside. Anyway, ongoing efficiency improvements imply that lignite is loosing lots of jobs. E.g. the planned Profen lignite mine & power plant operation would have delivered only ~150 permanent jobs. Lignite power is becoming so cheap because it requires very little labor. Roger, do you have a link to your EROEI for nuclear? In general confirmation bias, combined with abundant variables and projections, places the comparative value of EROEI calculations somewhere just north of advertising. In addition to the 150 permanent employees at the Profen power plant, a few hundred more would have been required for extracting 3 Mt/a of lignite and transporting it to the site. In all, up to 4,000 people were to be employed in the construction phase. A 30 km pipeline would have been required from the Saale River for plant cooling due to depletion of the local water table. Since operation was planned until past mid-century, furthermore, a new mine at Lützen would have been required after 2035. In all, the lignite project promised continuing employment for two generations of miners. Imagine the effect on these people when they were told that construction plans had been cancelled. At the end of March 2015, the IG BCE mining union held a large protest demonstration at the Profen mine. A few days later, a refugee home under construction in the next town of Tröglitz was set on fire by an unknown arsonist. While that might have been a coincidence, it was altogether symptomatic for the widespread despondency pervading the region. Since the federal and state governments had always discounted the need for contingency plans during the lignite era, they are now at a loss to offer alternative economic perspectives. I do. EROI is somewhere between 56 and 105. Energy payback is achieved in 6 weeks to 3 months of full-power operation. EROI of course increases if the plant lifespan is extended. Designs with a 60-year baseline like the AP1000 will trend toward the higher end of that range and might exceed 105 in practice… long after all of us writing here are dead. wellwhen using the methology of Prieto and Hall the EROI of Solar would be about 10 times as high now than in the study, same for wind. – and the EROI of hinkley point would be much lower than solar and wind. For german brutto and netto consumtions, only consumption on site are calculated with the exception of the lignite plants at the rhine, wher mining is operated fully electric with power from the lignite plant and is declared as self consumption of the plant. Many people underestimate the self consumption of coal and nuclear plants. For wind and solar only netto production is measured, self consumption happens unmeasured. The net output is the MWh/a which need to be generated by another generator when a generator stops. When a NPP stops e.g. nuclear waste generation also stops, hence associated energy consuming activities to process, store and guard that nuclear waste also stop, etc. etc. EROEI is reflected in the cost price = usually roughly the price corrected for major subsidies (liability limitations, etc). The cost price of a product is roughly linear related with the (human, mechanical, etc) energy it takes to produce that product. The energy consumed to produce, maintain and manage the use of rails etc., is reflected in the price to use those rails. Hence the cost price of the products (equipment, fuel, waste, workers) whose transport those rails facilitate. EROEI studies are nice academic exercises but not relevant. As those are not relevant, they are a nice prey for hobbyist scientists. So their results easily differ a factor >10. Calling fuel cycle costs parasitic drains creates a wrong impression. Those are necessary with that method electricity generation. Just as the steam turbine, etc. You should check your sources as e.g. the emissions for France (58gCO2/kWh in 2016) are far off the emissions (100gCO2/KWh) other sources publish. Alas nuclear promotion site “world-nuclear” is not a reliable source regarding the status of nuclear. Roger is more correct in his comment with ~10. The figure depends largely on the quality of the uranium ore. Using uranium in e.g. seawater, will probably turn nuclear into the ‘energy sink’ Roger mentions above. In “refutation” of the WNA (which cites Weissbach, Vattenfall and the ERDA), you bring up… Storm and Smith. You are almost too funny, Bas. Luckily nobody denies that German emissions are 500g/kWh. Or that the reason Merkel won’t adapt a carbon tax is Germany’s continued dependence on coal, thanks to Energiewende. Replying to Bob: No, I don’t have a specific reference for the 10:1 EROEI estimate for (conventional) nuclear power. I follow a couple of Yahoo newsgroups on energy resources, and several years ago there was a lot of discussion about EROEI. The 10:1 was a sort of median working estimate that I recall for resolving the wildly divergent estimates from different sources. That doesn’t mean it was accurate. I’d personally give more weight to the “between 56 and 105” finding from the study that EP references above. It’s only fair to note that it’s presented on a World Nuclear Association site, and that the WNA is a nuclear advocacy organization. But the derivation of the EROEI estimate is spelled out, and the figures and methodology appear sound to me. The main source of difference from the studies that come up with much lower ratios is — not surprisingly — in what I take to be more reasonable estimates for the energy costs of decommissioning and long term waste storage. They also use real figures for energy cost of uranium mining and processing as practiced at the time of the study. Some of the “low EROI” studies use highly inflated figures based on a presumed near-term depletion of high grade uranium ore reserves. Bas, I realize that you take them as near to Gospel, but the Stormsmith studies that you persist in citing really are very deeply flawed. The studies — basically one core study, much revised, edited and republished in order to present a moving target to critics — are well written. They are seemingly well researched; there’s a lot of useful information in them. There has to be, in order to camouflage the howlers that are also present. But the studies are well worth reading, provided one also reads some of the critiques. Poisons need antidotes. For those who don’t care to spend a lot of time, one of the best and most concise critiques is this page at the RationalWiki web site. It’s not the last word; Van Leeuwen has defended his work and tried to rebut the rebuttal. Then of course there are rebuttals to his defense … it’s quite a large conversation. But the RationalWiki page is a good place to start. I don’t know about 10 times as high, but you’re right that Prieto and Hall’s study would show better results for solar PV if repeated today. PV costs have dropped remarkably in the last 5 years. Although most of that drop is due to heavy investment in large scale manufacturing efficiencies, some of it does translate to reduced energy inputs. I’m less sure about wind. Financial ROIs have improved, but most of that is due to larger turbines on taller towers. Taller towers allow the turbines to tap into more consistent and somewhat faster winds above the surface boundary layer, However, there are significant diseconomies of scale in terms of materials and their embodied energy. It takes substantially more than twice the amount of steel and concrete to support a turbine with twice the rated output. But the improvement in CF with taller towers complicates the picture. Another issue with larger turbines is the requirement for more advanced materials for the longer and highly stressed turbine blades. Graphite fiber composites instead of aluminum and fiberglass. The embodied energy in graphite fiber composites is pretty high. Anybody have specifics? Question for readers: why downvote Helmut’s comment when it is primarily a neutral posting of relevant factual information? This is a dialog. Personally, I vote comments up or down based on the quality of the comment, not which side of the debate it supports. The effort required to extract a material increases as the negaive log of the concentration. In other words, going from 1x to 0.1x concentration adds effort Y, and going from 1x to 0.01x adds effort 2Y. Given that the total resource increases very rapidly as the concentration goes down, we’re a long way from hitting any sort of energy-related limits. Since seawater is an effectively unlimited (equilibrium with rocks) resource, once U from seawater hits parity that’s as far up as the cost can go. Assuming that uranium extraction cannot be improved beyond today’s amoxidime-based methods at $200/lb. Higher uranium cost justifies a lower tails assay after enrichment; call it 0.1%. Feedstock cost becomes about $2800/kg LEU. Enrichment adds very little. Enriching from 0.72% to 4% takes 6.25 SWU/kg product. Going down to 0.1% tails assay increases this by 55% to 9.69 SWU. At $60/SWU, this costs just $206/kg product. 4% LEU has about 0.168 moles U-235 per kg. Guessing that remnant U-235 is balanced by converted and fissioned U-238, 1 kg of 4% LEU yielding 193.8 MeV contained energy per fission (not antineutrinos) yields 1.22 TJ(th) per kg. Converted to electricity at 33%, this is 112,000 kWh per kg LEU. Dividing this out, the cost of uranium is a whole 2.5¢/kWh. At some point it becomes cost-effective to reclaim plutonium and switch to fast-spectrum reactors which consume 99% of uranium, and the uranium cost drops by a factor of roughly 100. Or cut over to thorium cycles.